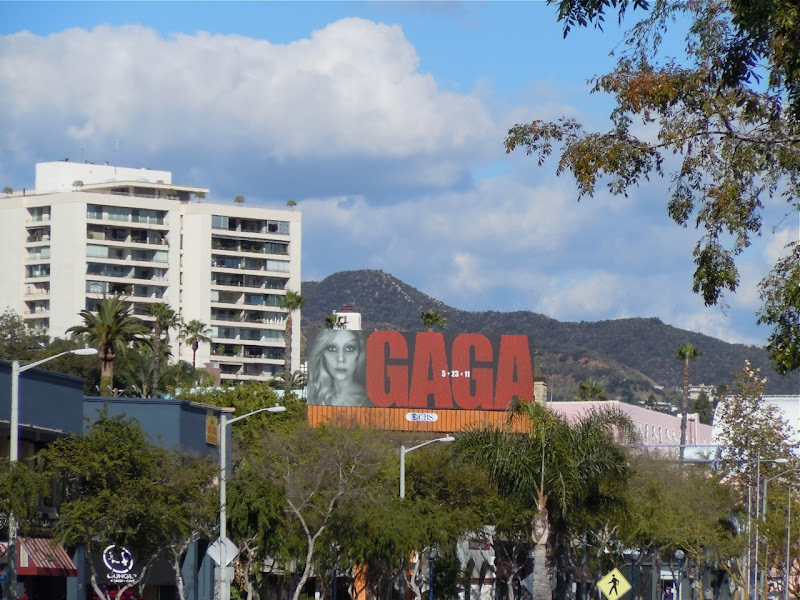 You can only imagine the screams of delight from Lady Gaga's fans when this billboard for her forthcoming album, Born This Way, took to the skies above one of West Hollywood's gayest street. It's only appropriate that the fame monster gets her own billboard on Daily Billboard after her highly anticipated single and the album's title track, Born This Way, achieved the honour of being the milestone 1000th #1 chart topper on the Billboard's Hot 100 singles chart. 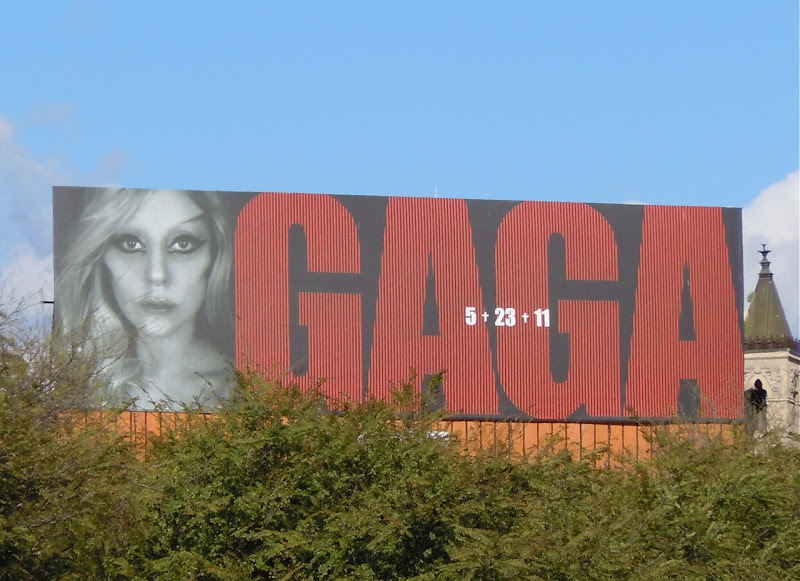 As the billboard says, Lady Gaga's third studio album will be available on May 23, 2011 and I'm sure everyone will go gaga for her new music in just three months time. 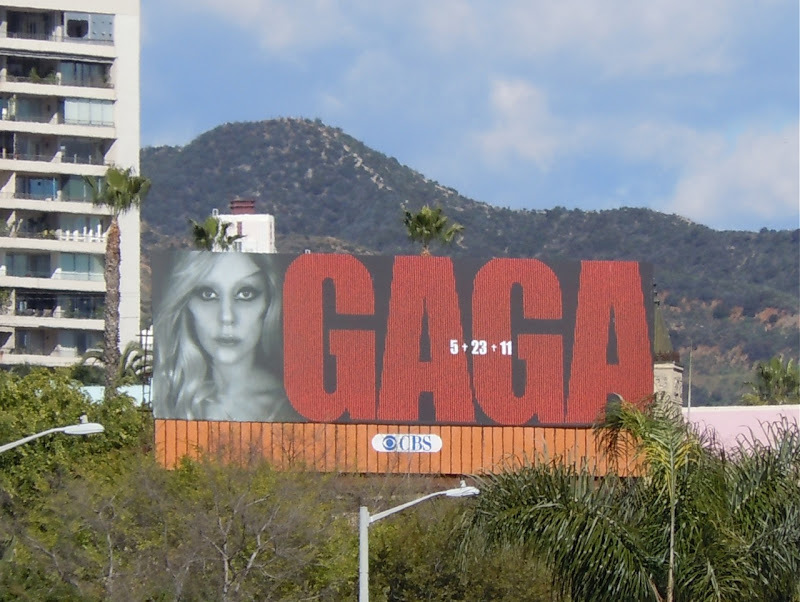 This arresting billboard was snapped along Santa Monica Boulevard on February 20, 2011.